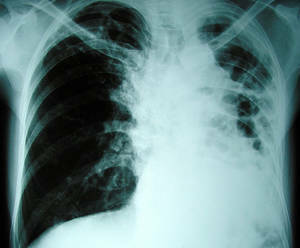 Separate patients with possible tuberculosis (TB) infection in a personal space with unfavorable pressure (air tired to outside or through a high-efficiency particulate air filter). Medical staff needs to use high-efficiency non reusable masks adequate to filter the tubercle bacillus. Continue seclusion till sputum smears are unfavorable for 3 successive decisions (typically after approximately 2-4 weeks of treatment). Regrettably, these measures are neither possible nor practical in nations where TB is a public health problem. For initial empiric treatment of TB, start patients on a 4-drug program: isoniazid, rifampin, pyrazinamide, and either ethambutol or streptomycin. When the TB isolate is understood to be completely susceptible, ethambutol (or streptomycin, if it is utilized as a fourth drug) can be stopped. Patients with TB who are receiving pyrazinamide ought to undergo baseline and routine serum uric acid assessments, and patients with TB who are receiving long-term ethambutol treatment should undergo baseline and routine visual acuity and red-green color understanding screening. The latter can be carried out with a standard test, such as the Ishihara test for color blindness. After 2 months of therapy (for a completely susceptible isolate), pyrazinamide can be stopped. Isoniazid plus rifampin are continued as day-to-day or intermittent treatment for 4 more months. If isolated isoniazid resistance is recorded, stop isoniazid and continue treatment with rifampin, pyrazinamide, and ethambutol for the whole 6 months. Treatment needs to be extended if the patient has cavitary disease and remains culture-positive after 2 months of treatment. Directly observed therapy (DOT) is suggested for all patients. With DOT, patients on the above regimens can be switched to 2- to 3-times each week dosing after a preliminary 2 weeks of day-to-day dosing. Patients on twice-weekly dosing need to not miss out on any doses. Prescribe everyday treatment for patients on self-administered medication. Patients identified with active TB needs to undergo sputum analysis for Mycobacterium tuberculosis weekly till sputum conversion is documented. Keeping track of for toxicity includes baseline and periodic liver enzymes, total blood cell (CBC) count, and serum creatinine. A special regimen exists for patients with TB who are actively seizing or who have overdosed on antimycobacterial medication. In these patients, overdose with isoniazid must be thought. The administration of diazepam can be attempted to manage seizure activity, however IV pyridoxine is the drug of choice, in a gram-for-isoniazid-ingested-gram dosage. If the ingested dosage is unidentified, 5 g of pyridoxine can be used empirically. For patients who are awake and alert, an oral dosage of turned on charcoal (1 g/kg) with sorbitol can be administered. The antimycobacterial rifapentine (Priftin), which was formerly approved for usage against active lung TB triggered by Mycobacterium tuberculosis, has now been approved by the US Food and Drug Administration (FDA) for usage, in mix with isoniazid, in the treatment of hidden TB infection. Therapy was authorized for patients aged 2 years or older who are at high danger of progression to TB disease. FDA approval for the new sign was partly based on a randomized study of more than 6000 patients where a 12-dose, once-weekly regimen of straight observed treatment (DOT) with rifapentine plus isoniazid was compared to a program consisting of 9 months of self-administered day-to-day isoniazid. The cumulative rate of tuberculosis disease development was 0.16 % in the rifapentine-isoniazid group (5 from 3074 patients), compared with 0.32 % in the isoniazid group (10 from 3074 patients). Not suggested – Rifampin plus pyrazinamide daily for 2 months (increased liver toxicity). A newer routine for hidden TB is isoniazid 900 mg plus rifapentine 900 mg as soon as weekly for 12 weeks (administered as DOT). This combination was approved by the FDA in November 2014 for patients aged 2 years and older who are at high danger for developing active TB disease(consisting of those in close contact with active TB patients, patients who have actually had a recent conversion to a positive tuberculin skin test, HIV-infected patients, and those with lung fibrosis on radiograph). Think about using this 12-dose routine among populations that are not likely to complete 9 months of daily therapy (eg, in correctional settings, centers for recent immigrants, homeless shelters). Usage in children aged 2-11 years and patients with underlying conditions associated with TB needs to be considered on a case-by-case basis. This program is not suggested for children under 2 years, pregnant women or women planning to conceive, or patients whose latent tuberculosis infection is presumed to be the result of direct exposure to an individual with TB disease that is resistant to 1 of the 2 drugs. The PREVENT TB Study compared this regimen with 9 months of self-administered, day-to-day isoniazid (300 mg) therapy for latent tuberculosis. The mix therapy was revealed to be as efficient as isoniazid alone in avoiding tuberculosis and had a higher treatment-completion rate. Children below 12 years must receive isoniazid for 9 months. In addition, children younger than 5 years who have close contact with an individual who has active TB must be started on isoniazid, even if the results on skin testing are unfavorable; preventive therapy can be stopped if the results on repeat skin screening are unfavorable 2-3 months after last contact with a culture-positive source case. Additionally, children aged 2-11 years may receive DOT with weight-base dosing of once-weekly rifapentine plus isoniazid for 12 weeks. Family contacts of patients with MDR-TB have an especially high risk for tuberculosis, 7.8 % within 4 years in a study from Lima, Peru. Minimal information are available on programs for the treatment of patients exposed to MDR-TB. Nevertheless, if treatment is started, a minimum of 2 drugs must be given, and the index isolate must be vulnerable to all substance abuse. Advised programs in patients with HIV infection consist of rifampin alone daily for 4 months or isoniazid, daily or twice weekly, for 9 months. Patients on antiretroviral therapy might require rifabutin rather of rifampin due to the fact that of prospective drug interactions. In our analysis, 4R was the least expensive regimen for the treatment of LTBI. Over the patient’s lifetime, the 4R regimen was less expensive and more reliable than the present standard of care (i.e., 9H) over a large range of estimates for adherence and effectiveness. Although more expensive than 4R or 9H, 3HP was more reliable, at a cost of $48,997 per QALY compared with 4R and $25,207 compared with 9H, and would therefore be considered economical using our limit of $50,000 per QALY. Moreover, this regimen ended up being cost-saving for patients at really high threat or at severe likelihood of treatment nonadherence. For instance, patients with HIV infection have a danger of activation approximately 10 times the standard price quote, so 3HP may be cost-saving in these people. However, the cost-effectiveness of 3HP at baseline threat was extremely conscious its efficacy relative to 9H and to our price quotes for adherence. If the ongoing large medical trial reveals that 3HP is less efficacious than 9H, its usage would likely be restricted to these highest-risk people unless the price is lowered and self-administered treatment is considered an acceptable choice.